Is there a general 'rule' about movie lenses? I have heard stories of people reusing Angieux movie lenses, etc .. I mean ... are the registration distance of the lenses similar to medium format cameras, or 135mm lenses or Rangefinder lenses? Since i am now bitten by the MF bug, i was thinking if it would not be interesting to go for movie lenses and make adaptors for those? Not even MFT has a shorter register than C-Mount - but many C-Mount lenses (though usually old or lower grade ones) will fit into a slightly negative adapter, and almost all can be permanently converted to MFT, if you want to sink some serious money into it or have the right skill set and free access to a precision mechanical workshop. As cine lenses are a rather mixed lot, you should always consider whether it is worth while - there are a couple of glorious ones in between, but you'll have to fight for them with film and video students. The bulk is rather modest in performance, targeted at amateur, industrial or educational use. 16mm does not have that much resolution to start with, being about half 110 (pocket) size, and many lenses weren't even targeted at projection, but for TV news gathering, and were considered good enough if they outresolved a 60's TV set. 35mm cine is a different matter, but the great lenses in that field still are cherished and sought after - digital movie production may be about to replace film cine cameras, but the lenses will stay on, as they still fit the digital cameras. To HK300: I have on the way one movie lens which should be worth the try. It is a Carl Zeiss Jena Tevidon 100 mm f 2,8 in zebra design. The aperture is available from 2,8 to 22 and it has a screw mount M25. After I will receive it, I will measure to clearance between body and lens and let made an adaptor to M42 from aluminium and try the lens. I�m only afraid that my D200 will have the shutter too close to lens mount. Will see. 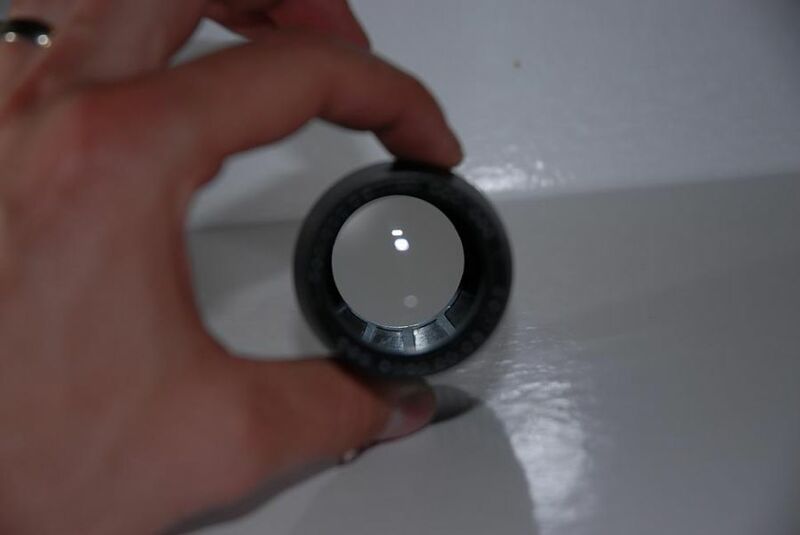 Century Precision Optics and others made lenses in the telephoto to super telephoto range, originally for movie cameras, but that were subsequently adapted to still cameras. 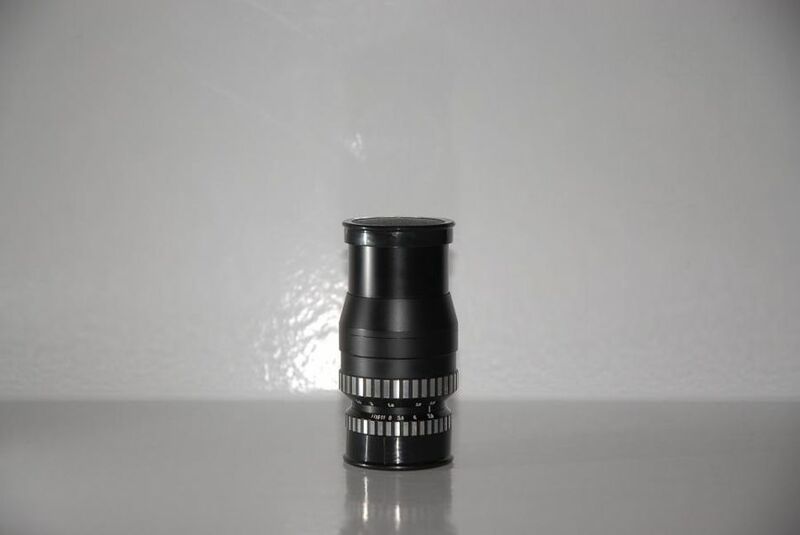 These lenses have a coupling on the rear that allows for interchangeable mounting systems, e.g., various 35mm movie cameras, C-mount, or 35mm (still camera) T-mount. I own two CPO long telephotos (500/5.6 and 650/6.8 CPO Tele-Athenars), and both have the 35mm T-mount attachment. I used to own a 1000mm f/8 made by an outfit whose name I cannot recall anymore that used this same sort of mount attachment. My two Tele Athenars are definitely old school -- manual apertures, not even presets -- but they take sharp, well-corrected images. If you're looking for a decent quality long telephoto that won't cost you a ton of bux, they're worth consideration. I see CPOs on eBay from time to time. A Century Athenar lens these days is rarely available at a low price unfortunately. It seems that they have been "found" by the collectors. Hi Alex. Maybe better (and easier) make adapters to fit slr lenses on movie gear. as te 35mm cine lenses are very very expensive these days (as are most adapters, like PL, Arriflex etc). Perhaps. I lucked out when I "found" mine. Bought the 500/5.6 at a swap meet with an anvil flight case for $30. That was about 20 years ago. Couple years later, I found the 650/6.8. Had to pay about $80 for it. But I did find these two on eBay. First one has a C-mount. Perhaps they are a bit pricey. However, if the sellers don't get any buyers, the prices will likely drop. Interesting about CPO. I gave some thought to that CPO modified Biotar 75/1.4 at KevinsCameras during my recent Biotar search but discovered in asking that the hood is integral to the 'f1.4' mod they did. It aparently holds down an extra element over the front of the lens. Knowing now CPO's background and the fact the lens has also been made into a T mount, I suspect that the lens was used for 16mm as that hood looks like it would vignette like crazy on 35mm. Little off topic, the info here triggered my thoughts! Meyer-Optik: Trioplan 2.8/100, Oreston 1.8/50. Takumar: Super Takumar 3.5/135, Super Takumar 1.4/50, SMC Takumar 3.5/28. Voigtl�nder: Nokton Classic SC 1.4/35. 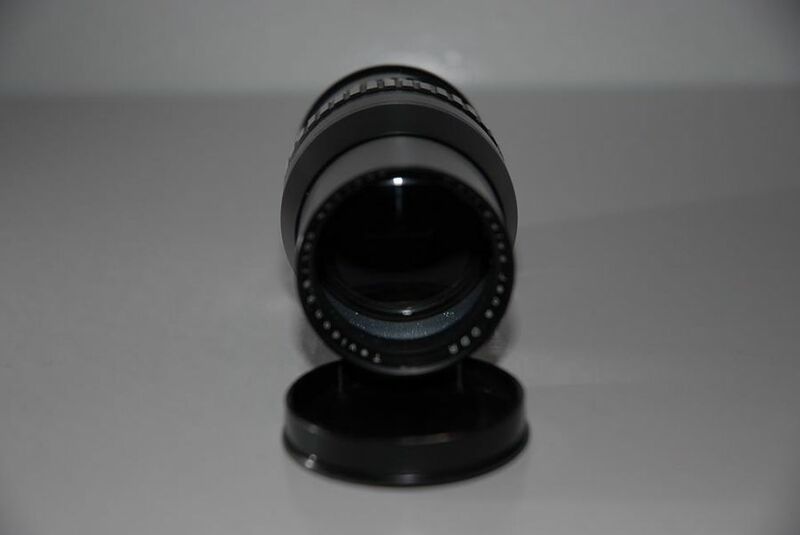 Zeiss: Planar T*1.2/85 "60 jahre" C/Y, Vario-Sonnar T*3.4/35-70 C/Y, Vario-Sonnar T*2.8/16-35 ZA, Distagon T*2/24 ZA. sounds interesting ... is there more information about CZJ Tevidon lenses and what film cameras it was used on? The Tevidons are all listed on my macrolenses site. If you google you'll find that they are still being produced!! I guess that the new Tevidons are quite different from the old ones. They are much lighter. Have you tested both versions? Do they differ in performance? So, the Tevidon is at home! I unwrapped it and the first impression was..... hmmmmm it is zeiss and it is a little small (much smaller than sonnar 135 mm) and it is terribly dirty (chocolate or so everywhere on the outside), a lot of dust and huge scratch on the front element. I was just before to crying, when I started to clean it. The second impression: I cleaned the front element from dust and the scratch was just a hair, so the front lens is brilliant and absolutely mint, the rear one now as well. In see thru view there are few dust particles, but honestly speaking not as much as my sonnar, so as well very good condition. I will un-chocolate the barrell in few moments and will show You a picture of it. Stay tuned. Ok here are some very quick pictures after cleaning. It is a hidden beauty. Looks almost new now. After deep cleaning it appears to be well cared piece with rare use. It has a 12 blades diaphragm which is operated with a ring without steps just continuous movement and the importatn thing is that if closed the blades the shape of the hole is not rounded or hexagon as ussually but triangel a little. I�m interested in the bokeh it will draw on photos. Now what is next, I have to let made a custom M25 to M42 ring or M25 to nikon mount adapter, will see. During next week I would be able to post first pictures with this movie lens. Hi there, I own a Panasonic G1 and also use C mount lenses on it. Works great!